The aliens are not among us. The truth is out there—and it is that we are not being visited by extraterrestrials. A flying saucer didn’t crash at Roswell, we aren’t reverse engineering alien technology at Area 51, and otherworldly tourists, anatomists or anthropologists are abducting no one from their homes. I’ve said it and I’ve said it with certainty. Could I be wrong? Yes, and I will be the first to admit my mistake when someone brings forth credible evidence that our planet is being visited by creatures from another world. But until then, I will be a skeptic on this issue. Carl Sagan said, “Extraordinary claims require extraordinary evidence.” Now, I may not be in the same league as Carl Sagan, but in this case I agree with him completely. Stories of strange lights in the sky, sightings of aircraft performing seemingly impossible acrobatic maneuvers before “shooting straight up,” presumably into space, or recollections of missing time after observing one of these weird aerial phenomena do not qualify as extraordinary evidence. But what about the pictures? Since there have been cameras, there have been fuzzy pictures of these strange objects in the night sky. Most are obviously fake, some are clearly explainable, and, yes, some are truly puzzling—but a puzzling object seen from an aircraft window does not an alien spaceship make! Much simpler explanations (than alien visitors) are almost certainly waiting in the wings to be proffered. I don’t want to get into a debate with true believers out there who have seen something they cannot explain, or have read about an encounter that had to be with a creature from another world. Sending me pictures taken with your cell phone camera will not convince me. No, the evidence would have to be something akin to Gort standing on the National Mall for me to be convinced aliens are visiting us. Why am I so adamant? Why would I take a position that will almost certainly cause many readers to call me “closed minded” and a veritable Luddite? Because the thought of us being visited by aliens from another planet at this time simply is so highly improbable as to be, for all practical purposes, impossible. Let me be clear. I do believe that there may be other life in the universe. I find the thought of humanity being alone in the universe to be not only depressing, but also arrogant. Surely, if it can happen here, with us, then it can happen elsewhere also. But, almost as certainly, life is rare. Intelligent tool-using life is likely even more rare. It is incredibly unlikely that intelligent, tool using life just happens to come visit us during a brief moment in the history of our species when are beginning to explore space ourselves. I’d better explain how I come to this conclusion. (Talk about an understatement.) In a previous essay for Baen, I discussed the enormous size of the universe in great detail. To avoid being redundant, I’ll attempt to summarize how big the universe is and why that this is important and relevant to the topic at hand. The Earth is ninety-three million miles from the Sun. If we imagine that the planets in our solar system can be represented by a series of marbles orbiting the Sun in the center of a room, then we can shrink this ninety-three million mile distance to one inch. (Scientists do this and instead of an inch, they call this distance an Astronomical Unit, or “AU.”) On this scale, Jupiter would be five inches from the Sun and the dwarf planet Pluto would be at a mere forty inches. The nearest star, Proxima Centauri, would be about four miles away. And that is the nearest star. The light from Proxima Centauri takes over four years to reach us traveling at 186,000 miles per second. The distance from here to Alpha Centauri is so large that scientists had to invent yet another term to make it easier to comprehend—the light year. One light year is the distance light travels in one year, making Proxima Centauri about 4.2 light years distant. Our galaxy, which contains hundreds of billions of stars, is over one hundred thousand light years across. The nearest galaxy to our own, the Andromeda Galaxy, is over two-and-a-half-million light years away. According to what we know about how the universe works, our knowledge of physics, there is a natural speed limit for us and for any aliens out there: the speed of light. 186,000 miles per second is the fastest anything can go. We’ve never observed anything going faster and it appears that it would actually take infinite energy to accelerate anything other than light to that speed. So the best we, or any aliens, can hope to achieve is some speed that is a significant fraction of the speed of light. If we assume that we can get a spacecraft the size of the Space Shuttle to travel 75 percent of the speed of light (which is pretty darn fast, considering that Voyager 1, our fastest spacecraft, is traveling at about 38,000 miles per hour or 0.005 percent the speed of light), then it would require at least 9.35 X 1022 joules of energy. Wow. At that speed, the journey would take about five-and-a-half years and require one hundred percent of humanity’s current global energy consumption for 195 years! All of that energy would have to be somehow provided to the spacecraft. And that’s just to get here from the nearest star. Crossing the gulf from farther away would lengthen the travel time considerably, only making the duration of such journeys even harder to believe when compared to a human, and presumably, alien lifetime. All right, so an interstellar voyage will take a while and require lots of energy. Surely, out there somewhere, someone or something may have the interest and ability to take the trip. Well, yes, perhaps, but it doesn’t seem very likely. In our solar system we know of only one place life exists. Earth. There are claims that fossilized primitive life has been found in meteorites from Mars or elsewhere, but the data is inconclusive and I must invoke Sagan’s requirement once again. Bring on the extraordinary evidence. We’ve looked out into the cosmos and found that there are many, many stars and we are now learning that planetary systems are common around them. 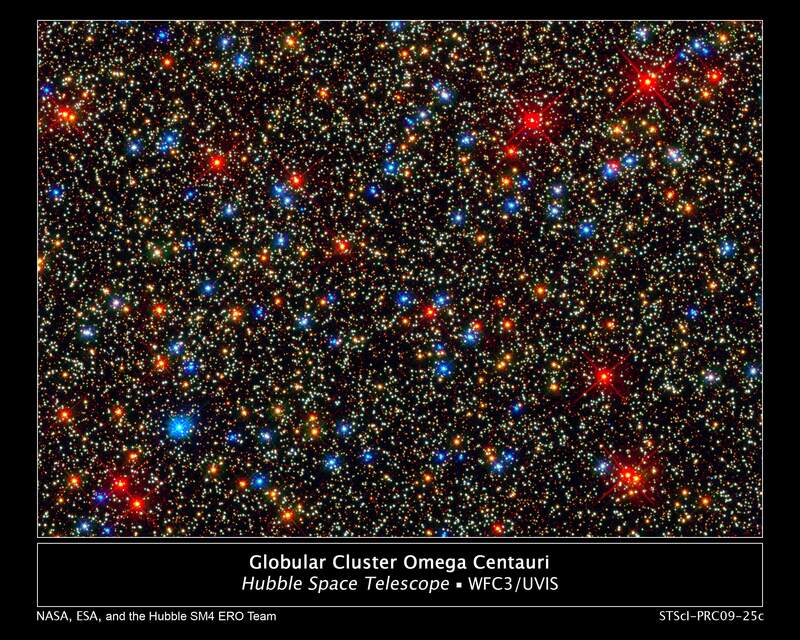 We’ve also found that the vast majority of these stars and planetary systems are inhospitable to life as we know it. (Yes, the “as we know it” part will be a red flag for some. I’m not entertaining the idea of fanciful beings composed of "pure" energy—whatever that is—nor those that normally occupy extra-dimensional spaces. I’m talking about life based on chemistry.) Life is, by its very nature, complex and organized. And for it to develop requires somewhat stable conditions that almost certainly includes a stable planetary orbit. This rules out many of the planets we’ve found around other stars that have wildly elliptical orbits, or orbits that are not circular, which produce wildly varying climactic conditions not suitable for life to exist. The star itself must be stable and boring. A variable star, one that changes its energy output dramatically over some period of time, would not produce the kind of stability needed for life to develop. Imagine Mars being warm and wet long enough for primitive life to take hold and then it being plunged into its current desiccated state, with these wild extremes repeating on cycles of a few million years each. The stellar neighborhood must be stable and boring. Having a star explode and go “nova” would be a very bad day for planets circling nearby stars. Massive stellar explosions, called supernova, occur somewhere in the universe virtually every day. Being on a planet within about a thousand light years of a supernova would likely have the same effect as sterilizing surgical equipment, killing not only bacteria but any higher order life. The planetary system cannot have too many asteroids and comets careening around because sooner or later one of them will hit the planet bearing life and restart the evolutionary process in much the same way ours was restarted in the event that wiped out the dinosaurs. Fortunately for us, in our solar system, these events are not very common on a timescale of millions of years. The life-bearing world would have to be in the Goldilocks Zone (not too hot, not too cold) for life based on chemistry as we know it to exist. If the planet is too close to the Sun or if it has the “wrong” atmospheric chemistry, you get the hellish conditions we find on Venus. If it is a little too small or too far away from its star, you get the cold and dry Mars. And from here it gets more complicated still. There are entire books written on the subject of why the Earth may be unique in its ability to evolve and sustain life. I don’t want to get into that topic here so I will simply summarize the conclusion I’ve reached: The long-term "stable" conditions favorable for the development and evolution of life are exceedingly rare. Now, Les, how can you possibly know that? Putting one’s religious beliefs aside, life appears to have developed and evolved on planet Earth over about four billion years. (I’ll talk about Deep Time a little bit later. For now, let’s just say that four billion years, that’s 4,000,000,000 years, is a long, long time.) Biologists can show that we humans are merely the latest development of a series of evolutionary processes and historical events spanning this chasm of time. We are not the inevitable byproduct of evolution. There is a common misconception about evolutionary theory that many people believe—that evolutionary processes are somehow guided (self guided?) to create beings of ever-increasing complexity and intelligence until it finally produces an intelligent, self-aware species like us and then, voila! We are here and evolution’s purpose is fulfilled. Alas, this is not the case. The Theory of Evolution says that species evolve to survive and those physical characteristics that allow a species to survive, prosper and reproduce will propagated and preserved as long as they are useful survival characteristics. If a mutation doesn’t serve a useful purpose in keeping the creature in which the mutation occurred alive long enough to reproduce, then it is not likely to be one that is passed on to future generations. In evolution, there is another aspect that is often overlooked in general discussion, even by my biologist friends: history. The world is not simply a tug of war between competing species with generations born, living and dying, some passing on their more successful characteristics to future generations. No, events play a pivotal role and some events are true game changers. Arguably one of the most successful species ever to inhabit the Earth, the dinosaurs, had their reign end rather abruptly about 75 million years ago when an errant meteor is thought to have hit the Earth, dramatically changing the climate of the entire planet, making it less hospitable to dinosaurs and more hospitable to the small, furry mammals from whence we descended. This pivotal event in the Earth’s history is the one that allows us to exist and ponder how we happen to be here. But, as they say, there is more to the story. What characteristics must a species have to build spaceships that would travel between the stars? Alien life would have to be intelligent in order to figure out how to build spaceships. Okay, so intelligence is a survival trait that has allowed humanity to survive and reproduce. But is it the only trait required for a technological society? Not by a long shot. Consider dolphins. Many believe that dolphins are intelligent, that they have language and that they experience many of the higher-order thought processes that we previously considered being the sole province of humanity. That’s just great for the dolphins—as they swim around in the ocean, seemingly carefree, playing with each other and amusing human biologists and tourists alike. But without fire they will never be able to alter their environment to build spaceships. Consider the dolphins again and let’s assume they are, or will be able to be, as intelligent as humans. Even without the fire issue, how will they be able to manipulate their environment to make things without hands and fingers? Better yet, how could they do this without opposable thumbs? Without the ability to grasp, making tools is much more difficult and making complex tools is likely impossible. 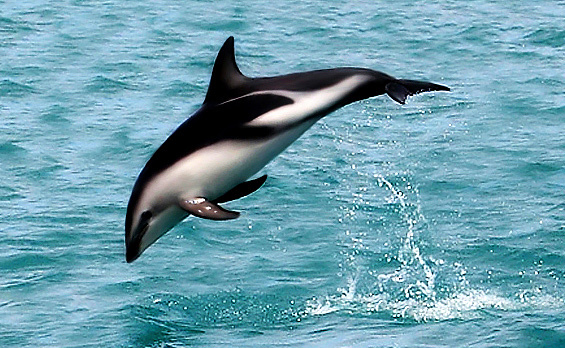 So, from an evolution-to-space-traveling-species point of view, being a dolphin is a dead end. What, then, is the likelihood of natural processes creating life and that life evolving a species that is intelligent, capable of using tools, making fire, and curious enough to invent space travel? It is clearly not zero, after all, we’re in the process of doing just that. But I can say it is a very low probability. (Yes, that is another understatement.) We humans in the developed world have, on average, a lifespan of fifty to eighty years. We have recorded history going back a few thousand years. There is archeological evidence that humans have been around for one hundred thousand years; most of that time was spent in the “survival mode” without a whole lot in the way of civilization being built, let alone spaceships. In the context of the history of the Earth, recorded human civilization occupies about 0.00008 percent of Earth’s history. Let me put that another way—the sum total of human civilization, in years, rounds to zero when considering the age of the Earth, let alone the age of the universe. 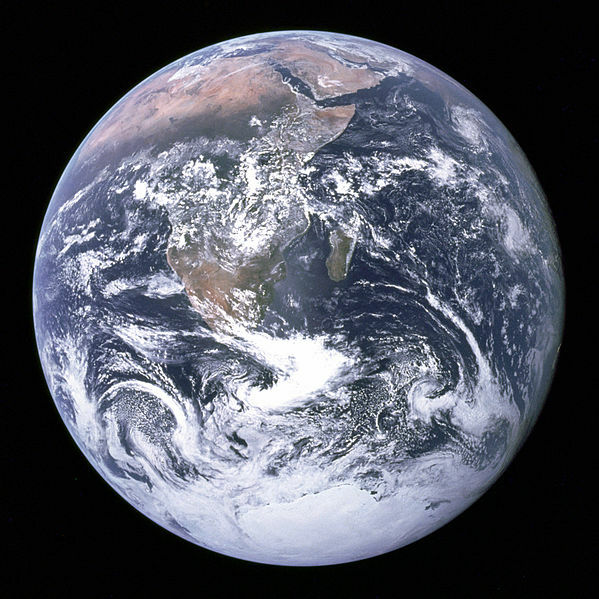 The Earth is about 4.5 billion years old. In that time, evolution has produced many species, some of which have been quite successful—from an evolutionary point of view. Consider again, for example, the dinosaurs. They reigned supreme over the Earth for about 180 million years, disappearing about 75 million years ago. According to fossil and genetic evidence, modern humans have been around for only about 100,000 years, or 0.1 million years. Hmmm. 75 million versus 0.1 million—it sounds like those dinosaurs had a pretty good run. But what does this have to do with alien visitors? Well, if you strictly play a numbers game and look at the age of the Earth, not even considering the age of the universe, what is the probability that alien visitors who are, by all alleged accounts, no more than a few hundred years ahead of us technologically, would just happen to start paying a visit to the Earth when we humans are here to see them? Looking at our fractional time of existence on the planet, which is roughly 100,000 divided by 4,500,000,000 (0.00002 or 0.002 percent), the chances are slim that they would be here at a time when humans exist at all. Slimmer still is the chance of them happening by when we have a technological civilization. 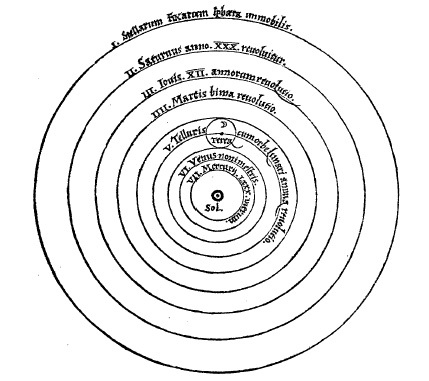 If we liberally define a “technological civilization” as one in which we know that the Earth revolves around the Sun, then we can date its beginning with the publication of De revolutionibus Orbium Coelestium (On the Revolutions of the Celestial Spheres) by Nicolaus Copernicus in 1543—merely ~500 years ago. What is the chance we’ve been visited by aliens since that time? Roughly 500/4,500,000,000 = 0.0000001 or 0.00001 percent. Folks, that is a pretty small number. Let me be blunt: the chance of an alien species evolving, developing intelligence with the physical characteristics that allow them to make fire and use tools, evolving to the point at which they can travel through space (obeying nature’s speed limit), crossing immense distances, and just happening to reach Earth at a time that we, too, are starting to explore space is, within any reasonable rounding error, ZERO. My conclusion is unchanged. Look at the odds. It wouldn’t make a difference if they were 50,000 years ahead of us technologically. The odds of them being here, now, and with a technology that we would recognize are too small to worry about. Might such a super civilization have visited the Earth in the past? Perhaps. If so, then it is far more likely that they arrived to find an Earth populated with dinosaurs and not human beings. Actually, I truly wish they were here. I’d like to think that the universe abounds with intelligent, tool-using species that travel between the stars. I want there to be a Federation of Planets (thank you Gene Roddenberry) with myriad species learning from each other and exploring the great unknown that is the universe. I am not so naïve to assume that in such a future there wouldn’t be conflict. I can put up with conflict in my wish list for the future; though I doubt there would be massive interstellar wars given the impracticality of interstellar travel to begin with. But that is another essay waiting to be written. . . .